This super bright compact & lightweight led traffic batons is effective at over 500 meters and has a remarkable duration lighting and flashling due to its use of high efficiency LED. This Led Traffic Baton is red/green alternating flashing mode. The Led Traffic Baton is battery operated, light weight, safety devices, made of ABS handle, and extruded pvc body, non-slip grip & wrist lanyard. The 21 inches LED Traffic Baton is the latest in traffic directing safety, serving as both a safety baton and flashlight. ThisLED Traffic Baton features a durable ABS casing, polycarbonate lens. The Non-recharegable LED Traffic Baton is battery operated (requires 3pcs C Alkaline batteries, not included) and has three operating modes. 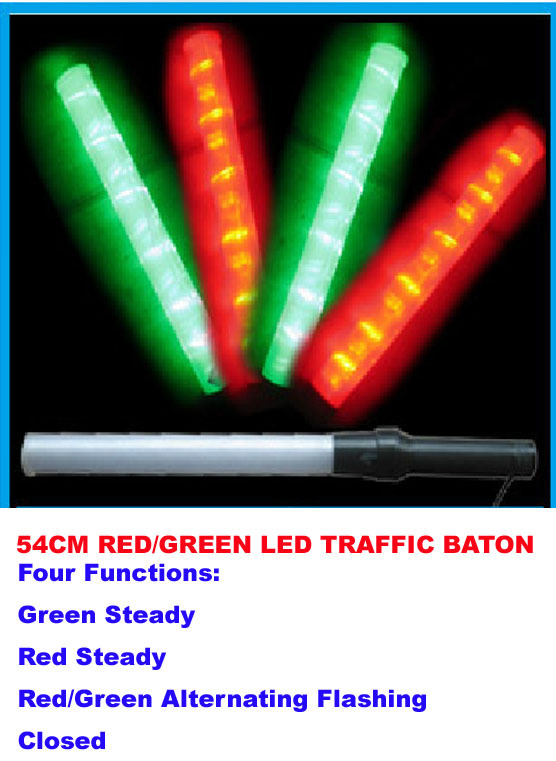 We have more led traffic batons, including red led traffic baton, reb blue led traffic baton, blue led traffic baton, amber led traffic baton, green led traffic baton, battery-powered led traffic baton and rechargeable led traffic baton. 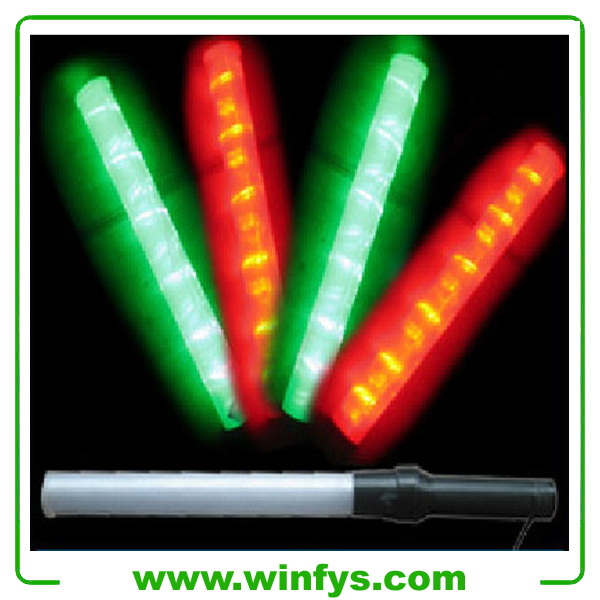 For details regarding led traffic batons, please visit www.winfys.com .